This is a turnkey vessel that had a complete survey completed 8/2017. This vessel is well equipped with twin 5.0 260 HP Volvo Penta fresh water cooled engines with less than 300 hours and recently had a full service. It comes with a Kohler 6.5 KW generator with 264 hours. It has 60 gallons of fresh water and 180 gallon capacity fuel tanks. It has a Sony AM/FM/CD player and a 21” Toshiba TV/DVD/ VCR combo. Kitchen has been completely remodeled with brand new appliances including; a 3 burner stove, microwave and a refrigerator. There are 2 A/C units with one of them being portable. 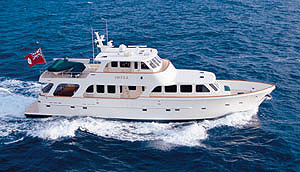 On the upper deck there is a teal canvas bimini and with a remote spot light. The boat has a VHF ship to shore radio, a Raymarine Dragon Fly Pro, Lowrance 3500 depth finder and a Norcross depth finder. 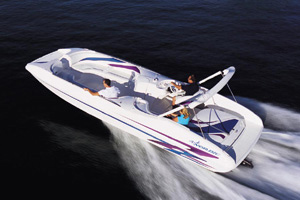 Pleasant Harbor Sales carries a nice selection of preowned boats and RVs including; Sea Ray, Chaparral, Rinker, Malibu, Maxum, Sleekcraft, Cobalt, Mastercraft and Carver. 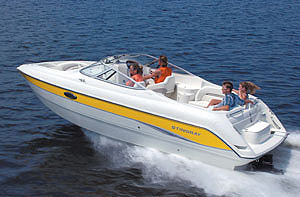 We carry pontoon boats, cruisers, wakeboard boats, ski boats, jet skis, houseboats and sailboats. 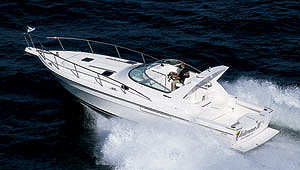 Let our years of experience help if you on your next boat purchase. If you have questions on the sales programs or financing options, please give us a call. 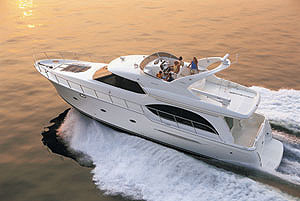 We would love to meet with you and see how we can assist you in your boating or RV needs. Pleasant Harbor is located 35 miles northwest of downtown Phoenix, on the southeastern shores of Lake Pleasant.